If you're looking for bankruptcy help you've come to the right place. 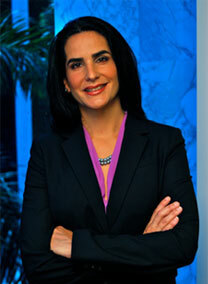 My name is Mary Reyes; I am a bankruptcy attorney in Miami, Florida and have been practicing law since 1997. My experience in bankruptcy law has helped thousands of clients through the years. My firm offers one-to-one bankruptcy services to Spanish and English speaking clients throughout South Florida, in Chapter 7 and Chapter 13. I may help you use the law to protect properties from foreclosure, eliminate credit card debt, medical debt, personal loans, car repossession, avoid second mortgages, and creditor harassment. Bankruptcy laws are designed to help you with debt problems. There is no need to wait. Call our office now at 305-476-1900 to set up your first FREE consultation. Focus: I specialize in bankruptcy services, and practice primarily in Chapter 7 and Chapter 13. Attention: One-on-one service. No intermediary. You will meet with me directly. Bilingual: Consultations are in Spanish or English. Experience: I have over 15 years of bankruptcy experience. I have represented thousands of people in their bankruptcy cases. Passionate: I care about my clients' successes. I will do what I can to help. Eliminate debts such as credit card, personal loans, store credits, car repossessions, mortgage deficiencies and medical bills. Protect your property and halt the foreclosure process. Rebuild your credit. Avoid second mortgages or secured equity lines of credit when you property owes more on the first mortgage than the property is currently valued at.